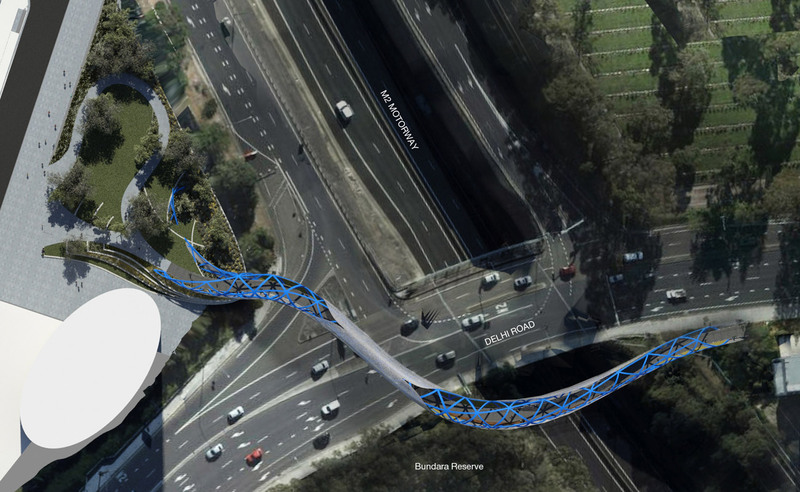 In cooperation with Arup consultant engineers, KI Studio has developed a concept design for a pedestrian and cycle bridge for UrbanGrowth NSW that continues the green spine of Lachlan’s Line, from the contemporary urban village to the North Ryde train station. 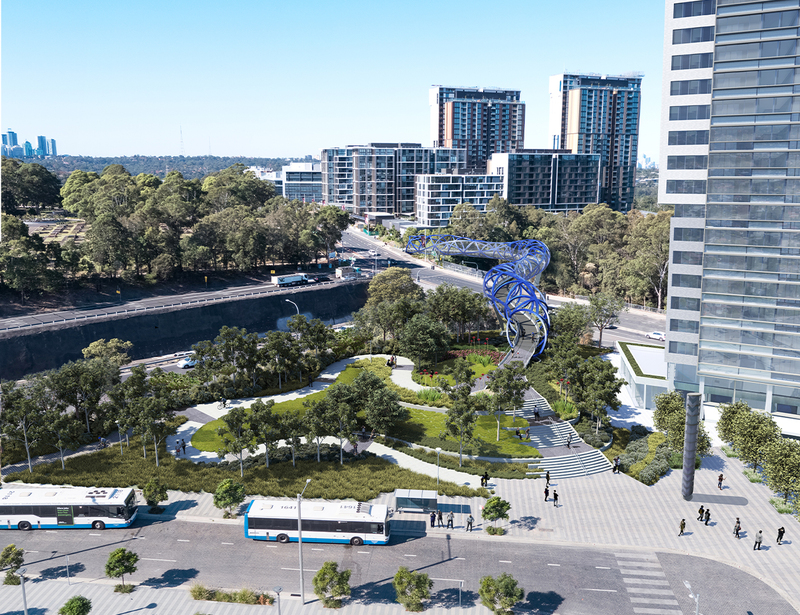 Key inspiration for the bridge was to create an inspiring sculpture in the landscape that bridge users experience, whilst providing a unique landmark that cements the identity of the Lachlan’s Line precinct. 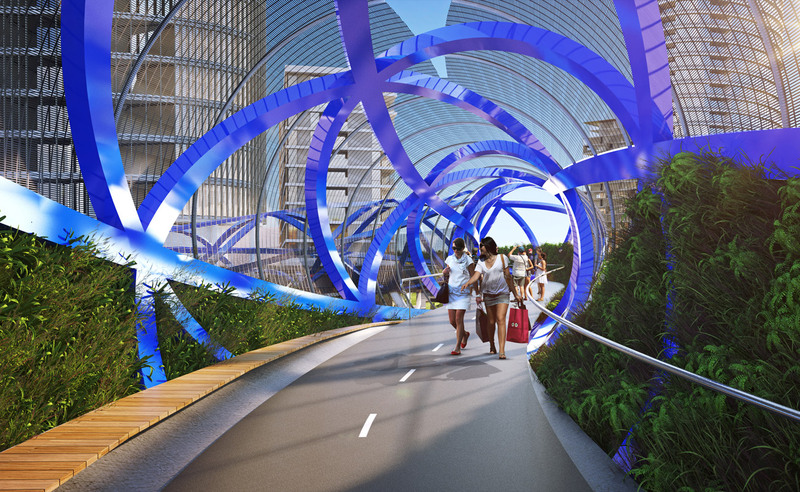 The sinuous shape of the 178 metres long bridge delivers a fluid form that responds to user’s desire lines and gives the structure a sculptural quality from both within and outside, enriching our urban domain. In order to soften the harsh surrounding environment for bridge users, and to extend the concept of “greening” across the bridge, hanging gardens are introduced in three key resting places of the bridge alignment. 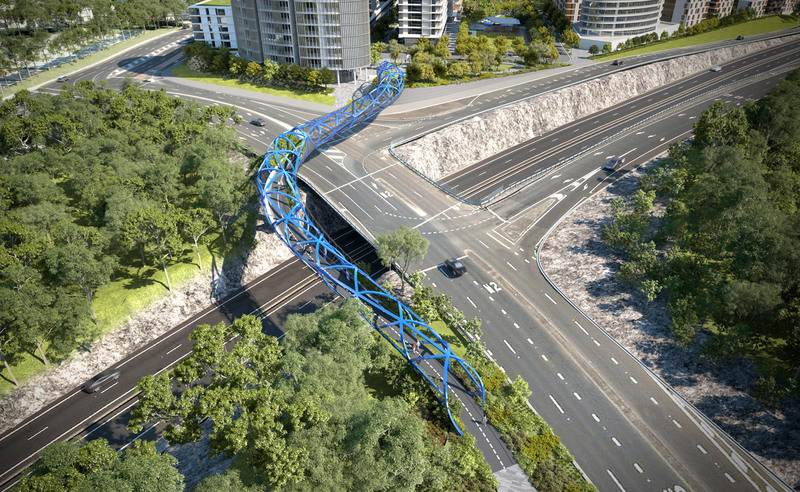 The design’s combination of form, texture, space, colour, motion and greening attempts to create an introverted experience for the users, as if walking ‘through’ a sculpture, making the journey more engaging and unique, whilst delivering a memorable landmark for North Ryde.